So let me set all the presumptions and snobbery aside from the beginning. Yes, I am keenly aware that a Nick Hornby book pales in comparison to some of your Vonnegut or Kafka excursions, but let’s be honest here. If your regular reading consists of checking my grade-school blog every morning, then there’s a strong chance that reading is not your forte. That’s why I’m recommending this book, SLAM, to the vast lot of you single, angst-filled, males who stopped reading sometime around when Brother Bear Berenstein visited the Dentist. I picked this literature up on my flight back from Hong Kong solely off the fact that Nick Hornby is one of my favorite present-day writers. Not for his grand vocabulary or critical acclaim, but rather for his everyguy perspective on life. He’s the one who wrote High Fidelity (of course, the book is way better), About a Boy (never watched it, never read it), Fever Pitch (saw it, never read it, I just hope Jimmy Fallon doesn’t make an appearance in the book), and all these other novel-turned-movies that champion the loser guy who can’t get the girl because of his neuroticism and overall guyness. 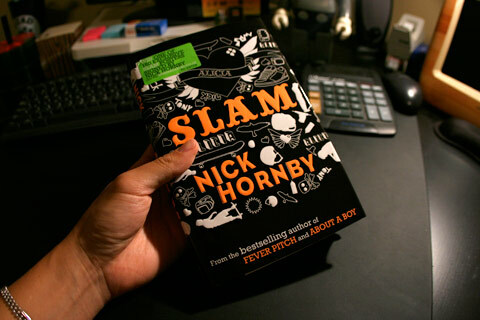 I don’t keep up much with the universal book news, but according to the publish date, SLAM dropped sometime this year making that Hornby’s newest work, and his first teenage novel at that. It’s about a skater who goes home every night and confesses all his worries to a Tony Hawk poster. I mean, there’s a storyline about some girl and issues with his mom and other aspects of teenage life, but really, it’s about a boy and his imaginary Tony Hawk friend. 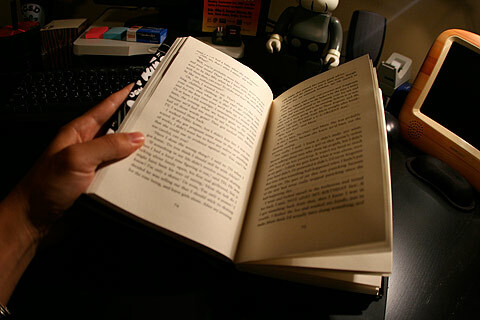 It’s a fun read, moves fast, and might be a nice change of pace from staring at a screen all day. Or you can just continue to get your daily fill of reading by checking Heppler’s blog and staring at Jeff’s belly.